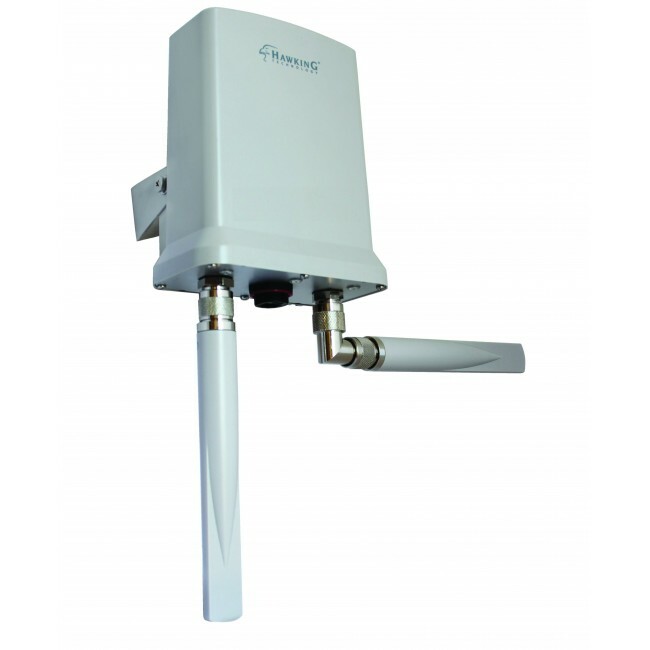 Weatherproof access point, Ethernet bridge, and Wi-Fi repeater all in one. Double your existing wireless coverage. 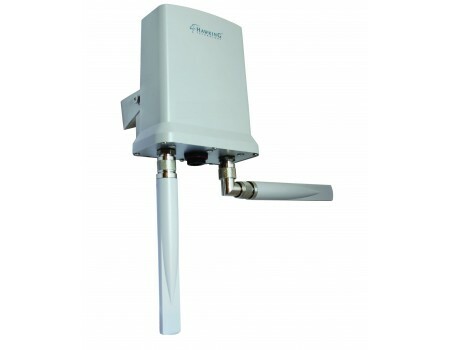 The Hawking HOWABN1 Hi-Gain Outdoor Wireless-300N Multifunction Access Point is a versatile device that can function as a high powered outdoor access point, ethernet bridge, and/or a WiFi repeater, depending on the situation. 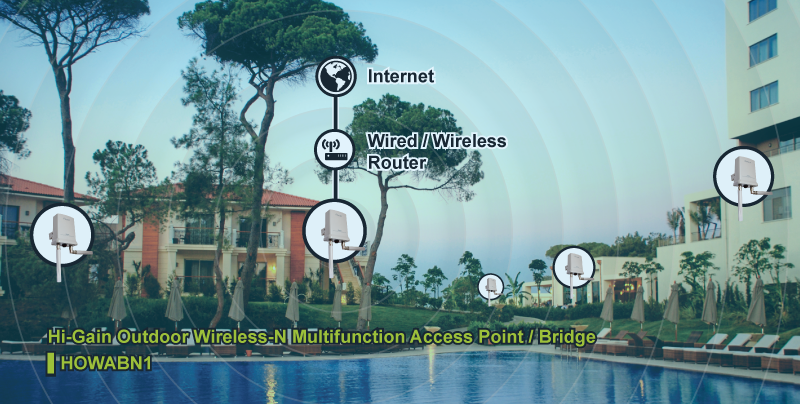 It can be used individually to either create or increase the existing wifi network outdoors, or in tandem with additional Hawking HOWABN1 devices to blanket a very large outdoor area with WiFi signal. In addition to increasing the size of the coverage area, the Hawking HOWABN1 Hi-Gain Outdoor Wireless-300N Multifunction Access Point also stablizes the existing signal and significantly increases the data speeds over the network. 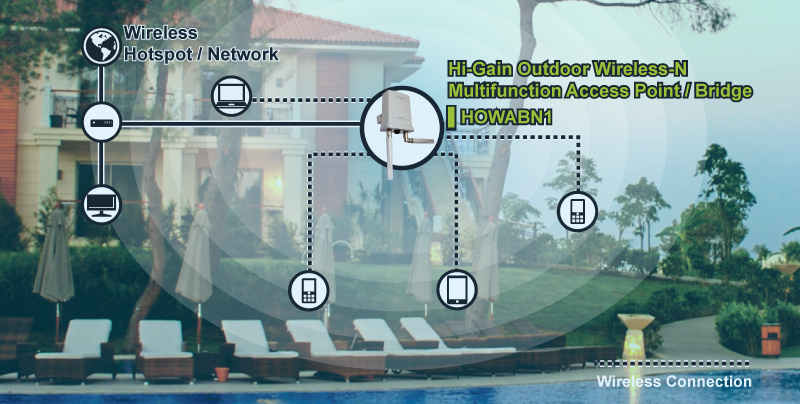 The Hawking HOWABN1 Hi-Gain Outdoor Wireless-300N Multifunction Access Point is a 2.4 GHz 802.11b/g/n solution that can operate in multiple operating modes: Range Extender (Repeater), Access Point, Bridge, Point-to-Point, Point-to-Multiple Point, and WDS Bridge. It features two high-gain antennas to maximize the distance that the device can function. The Hawking HOWABN1 Hi-Gain Outdoor Wireless-300N Multifunction Access Point will increase the coverage area of an existing WiFi network up to double and significantly increased data speeds and network stability.